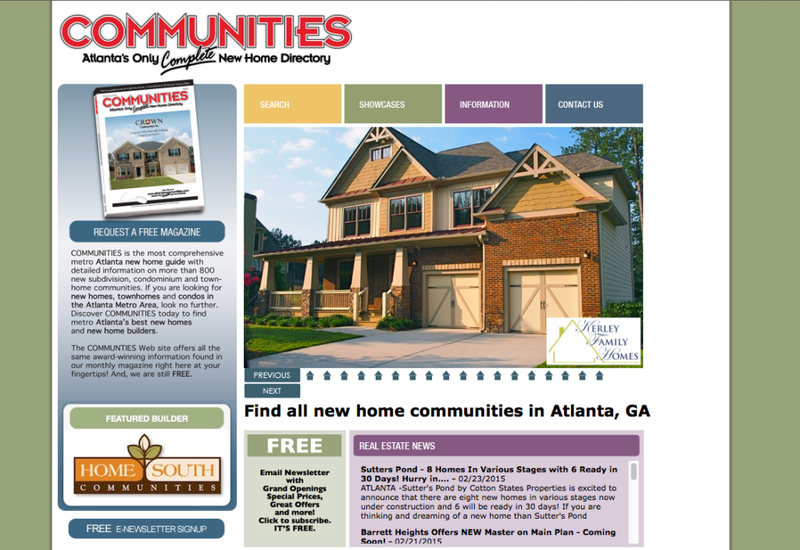 Communities: Atlanta’s only complete new home directory. About:Communities is the most comprehensive metro Atlanta New Home Guide with detailed information on more than 800 new subdivisions, Condominiums, and Town-Home Communities. If you are looking for new homes, town homes, and condos in the Atlanta metro area, look no further. Discover COMMUNITIES today to find metro Atlanta’s best new homes and new home builders. The Communities Web site offers all the same award-winning information found in our monthly magazine right here at your fingertips! and, we are still FREE!